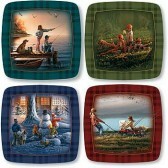 Too many images, not enough wall space, problem solved! 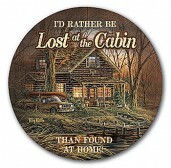 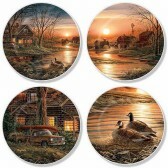 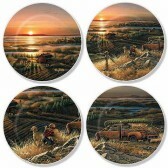 4-1/2" round plates fit into great spaces. 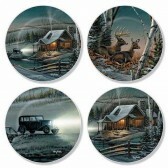 Set includes all four plates. 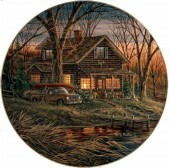 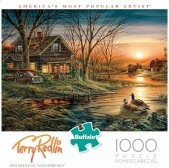 "Shoreline Neighbors" 9"x9" Stained Glass Art by Terry Redlin. 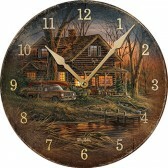 Shoreline Neighbors Wall Clock - NEW!